For decades, despair and failure have dominated the national public conversation about public education. The strategy of mandating progress by the imposition of high stakes testing, first pioneered under President Bush and then enthusiastically pursued during the Obama administration, clearly has not worked to improve schools and academic standards. Increasing numbers of school districts across the country are opting out of such tests, and Florida is just the last of many states to declare the obvious: that imposing standardized tests, even if these tests were of high quality (which they are not) on schools and teachers who have no role in designing the tests—much less the pupils who take them—will never work. The 2016 Presidential campaign will likely make the situation worse, since candidates are prone to using sound bites to describe the problems and peddle pat or already discredited remedies. Never have educational institutions, including colleges and universities, been held in such low esteem and so castigated for high costs and inefficiencies. To make matters worse, technological utopians promote the idea that the traditions of teaching and learning in classrooms will soon be out of date, threatening to diminish some of the most successful pedagogical practices in the American education system. The odd ironic fact is that there are significant reasons for optimism. There are programs that demonstrate that reform is possible, programs that are taking place in our public schools. Consider one of the most cherished goals of the Obama administration: increasing high school graduation rates and community college degree completion. Over the past decade, there has been a rapid growth in the creation of early college programs that have shown remarkable, measurable results in both improving high school graduation rates and the completion of the two-year college degree offered at community colleges. Over 300 early college programs exist around the country, and the vast majority are led by two-year community colleges and by the urban campuses of our public universities. Bard College, an independent, nonprofit liberal arts institution, has been a pioneer in this successful and promising movement. Since opening its first public early college high school (BHSEC) in New York City, Bard College has created seven early college programs for high-school-age students: two part-time early college programs in New Orleans and in the Harlem Children’s Zone in New York City, and five full public early college high schools, two located in New York City and one each in Newark, Cleveland, and, most recently, Baltimore. Each of these schools offers students a four-year course of study beginning in the ninth grade and culminating in the completion of both a high school diploma and a 60-credit, two-year college degree from Bard – offered at no cost to the students or their families. The results are impressive. In the Bard High School Early College in Newark, 72 percent of students in the inaugural class finished high school with a two-year college degree, tuition-free. In Bard’s early college high schools in New York City, rigorous independent research has shown that BHSEC students are nearly one third more likely to complete their B.A./B.S. in four years than their peers who attended traditional high schools (based on an analysis that matched students by key demographic characteristics and academic achievement). Boys and African-American BHSEC graduates saw even higher gains in college completion. National studies, including an experimental study conducted by the American Institutes for Research, have also found significant increases in college enrollment and completion among students who attend early college high schools. Early college is not simply a boutique option for students who have been consistently high achievers in school or who come from affluent backgrounds. Early colleges are working in the school districts in which too many adolescents have often and too easily been written off as a result of poor middle and elementary schooling. In fact, those are the very districts that are seeking out early college as a solution to stagnant and racially disparate high school performance. Early college, at the end of the day, exploits an obvious insight: it is more difficult to get from a poor community to college than it is to bring a good college to a poor community. Related: Should we turn high school into college? What makes early college work is a simple premise. That premise is that young adolescents can be inspired by a rigorous college course of study – in Bard’s case, study in the sciences, humanities, arts and social sciences – if it is taught by college faculty who are qualified and committed to their disciplines and to teaching younger students, individuals with graduate training in their fields and appropriate support on pedagogical practices effective with younger scholars. That means that it is the faculty, not the state, that sets the curriculum, guides the classroom, and writes the tests, just as faculty do on the campuses of Harvard, the University of Florida, Bryn Mawr or Tulane University. The evidence shows that gaps from middle school and elementary school education can be made up between the ages of 14 and 18. Early colleges move the timeline of traditional higher education back at least two years. This is more than simply skipping ahead. In Bard College’s seven early colleges, high school and college education happens under the same roof, and the ninth and tenth grades are designed to prepare students to embark on college-level work. The course of study combines rigor with attention to students’ developmental as well as academic needs. Intellectual inspiration is combined with robust support. Our early college campuses are settings in which we teach students like adults and support them like adolescents, and the formula works. The academic standards, as demonstrated by the performance of early college graduates who go on to complete four-year college degrees, are far higher than is achieved through traditional public schooling and through test-driven accelerated models. The beauty of early colleges is the elimination of the enormous academic and pedagogical chasm between high school and college. Programs like Bard’s are effective for young people who have struggled in school and who otherwise would not be on track to complete postsecondary education. It has long been known that our students spend too many years in school learning too little. Early college accelerates the pace and significance of learning. It disrupts an obsolete orthodoxy, the outdated notion that real college must start at 18. It shows adolescents that learning and study are both serious and exciting, and that a successful college student, even if “nontraditional,” is just as likely to be an adolescent as an 18-year-old or an older adult. Early college today is no longer an experiment. By the numbers, early college is among the most successful interventions for adolescents in American secondary schooling. But policy-makers have been slow to grasp its promise and negligent in supporting its growth. What better time can there be to shift from excoriating teachers, bemoaning costs and blaming the opposition to advocating for the expansion of some of our best practices and educational models than a Presidential campaign? When it comes to the crisis we face with educating adolescents and preparing the next generation to complete college degrees, without crippling loan debt, early college can and should be a large part of the solution. 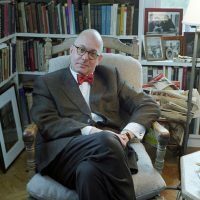 Leon Botstein is the president of Bard College and the music director of the American Symphony Orchestra.